Raisin > DISCOVER HOW WE VALIDATE NATURAL WINEMAKERS? At this decisive time of the climate changing, our relationship with the world around us and with sustainable agriculture is critical. In France, one of the world’s biggest wine producer, 30% of the pesticides spread are by viticulture, which is only 3% of the agricultural surface. Raisin, the natural wine app, supports a humanistic economy… And we love the gardeners of the vines (aka winemakers)! Producing natural wine allows winemakers to be paid off for their hard, honest work. The average price of a wine bottle sold fluctuates depending on where you live: from low as 1,99 € in southern Europe, to higher prices in non-wine producing countries. As you might expect, there is no possible way of making a quality wine at such a low price without taking dramatic shortcuts, resulting in both environmental concerns and impacting fair wages. If tomorrow the vineyards were made up of winemakers only working in this eco-friendly fashion, it would create a world of difference with beautiful biodiversity and a balance in our environment. Since its creation, Raisin has aimed to make the natural wine world more easily accessible and understandable for everyone. To do so, the app shows our users where they can find this type of wine. With the new label scanning feature, we are taking it a step further and offering the ability to know how your wine is made. Imagine going into an establishment, scanning a label, and having the opportunity to verify and choose that the wine in your glass is one that is respectful of the environment and man. 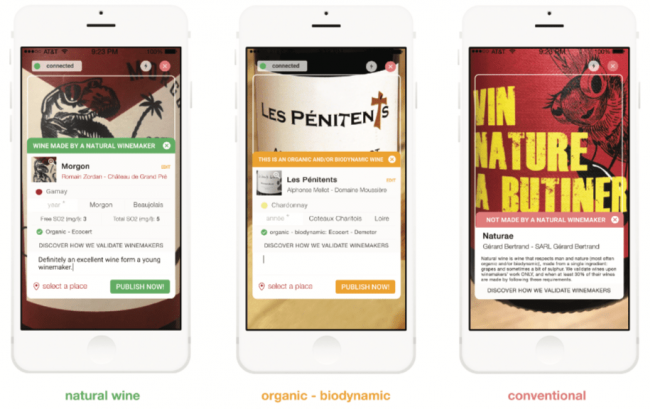 This feature is not intended to replace the expertise of a sommelier or a wine merchant, rather to serve as a complementary and practical tool. WHAT ARE OUR CRITERIA FOR VALIDATION? Raisin does not intend to push its vision of natural wine on the world, but instead desires to embrace the movement in all its diversity – including its rebellious side to any fixed and restrictive definition. However, our team is loyal to certain criteria that we have borrowed from the Association of Natural Wine’s (AVN) original charter. 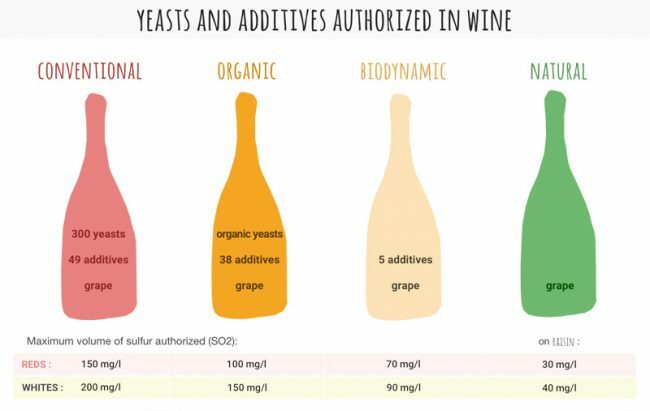 Although this charter is no longer available, the current version only slightly differs on volumes of sulphites and the requirement of organic certification: “Cahier des charges (AVN).” The wines that we validate must be made without additives and the use of pesticides, except the occasional small amount of sulphites added (30 mg/L for reds and 40 mg/L for whites maximum). Therefore, we validate wines based on the work done by winemakers, because that’s what it all comes down to! For a winemaker to be considered natural on Raisin, 50% of the wine they are producing must be natural. HOW CAN WE DISTINGUISH BETWEEN DIFFERENT WINES? A) WINE MADE BY A NATURAL WINEMAKER:: That we have validated. B) THIS WINE IS ORGANIC AND/OR BIODYNAMIC: Which has one of these certifications, but is not vinified in a natural way. C) IS NOT MADE BY A NATURAL WINEMAKER: It could be confused with the work of a natural winemaker, but is produced conventionally. D) WE DON’T HAVE ENOUGH INFORMATION ABOUT THIS WINE: Without the necessary information about this winemaker, we are not in a position to categorize.